Here's a look at the completed layout. I used some retired Close To My Heart Dotty For You paper for the background. The pink patterned paper is from the Blossom collection. Here’s a closer look at the cute little bear paper piecing. He was created with cuts from the Cricut Artistry cartridge using the Cricut Design Space program and my Cricut Explore. I am sharing the file with those who purchase the Cricut Artistry Cartridge Bundle from me. Here’s a closer look at the I heart Ice Cream title. It is a png graphic that can be print then cut in the design space program or you can print it out and hand cut it yourself. 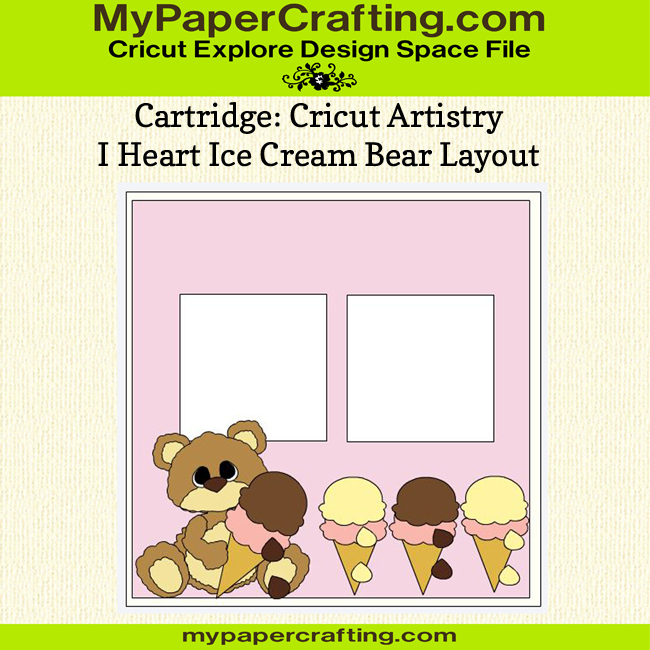 I will be sharing several of the Design Space files I created including this project and the cute bear paper piecing. Pretty! 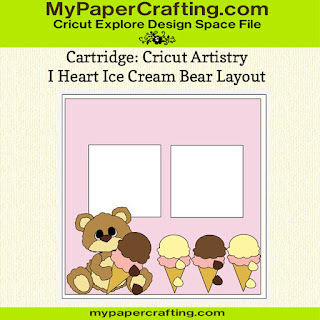 Love the little bear and those ice cream images!